Where do you live and under what conditions? Since the age of 17 I have moved 25 times. I haven't counted the times I moved prior to 17, but it was a lot. I don't mind and I guess in some way this nurtured my love for travel. I have also had four major country moves in my life and I look forward to more. One thing I have learned from all this moving around though is that wherever I go, I take myself with me. Despite being in new surroundings after some time, the same old patterns would begin to emerge. Have you had this happen to you? I am sharing this because most people think of their home as the physical address where they live. There is a place that you live first and foremost though. Your body! Your first and permanent home, whilst you are alive, is your body. Whilst people take tremendous care of their physical houses and places of residence, most have very little knowledge of their true home -- their body. This is the reason that so many give away their power to health professionals who supposedly know more about their home than they do. And this is partially true because we have been led away from our true homes. Everything is within and your access route is via your body. So as your body is the place that you really live in and with for your whole life, what kind of a home do you want to experience and have? The conditions that you live in and under -- with regards to your body -- are extremely important as they will impact directly on the quality of your life's experience. 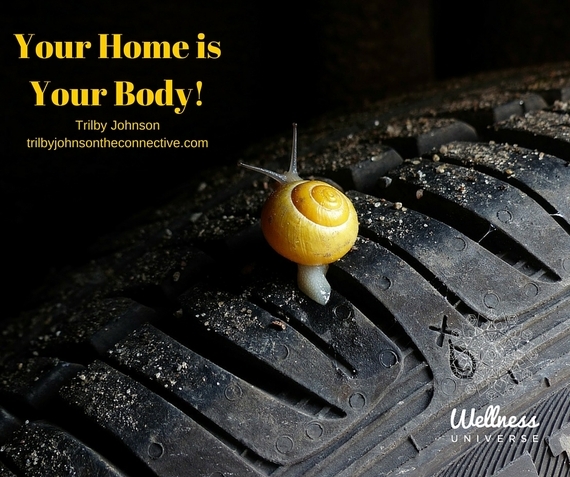 What if you had a home that is comfortable, that suits you, that supports you, where you can relax, where there is no judgement, where you can truly be you 24/7, where you can connect to health, abundance, love, joy and to your Self, etc.! Through my 25 years as a Body Healer I have seen how disconnected so many are from their bodies. As long as you are disconnected and not fully present in and with your body, you will not experience being home. Most people are not even aware that they are in a space of disconnect because our brains have be wired to overlook this information, particularly in this very mental focused world. The mental will always keep you in the mental. Whereas your body will bring you information from your body-mind-soul. This is the reason that becoming aware of whether, where and how we are connected is, I feel, imperative to us finally experiencing the lives we say we desire. This is the Vision I hold because it has been my life's experience. For many years I looked outside of myself for a sense of being home and it was only when I started to love and honor my body exactly as it was that my sense of confidence, love and joy expanded. It was then that I began to get an inkling of the immense wisdom that was hidden and that came through my physical sensations, hunches and feelings. Our bodies capture the language of the Universe -- Energy -- and are constantly communicating it to us. Up until now, many of us however have ignored these signals because we have been given misguided information, if any at all. To truly experience living orgasmically -- that sense of total and unlimited and beyond time sensual connection to all that is -- we have to overcome first the fear -- yes fear -- of our bodies and then we have to learn to open up to the language of our body-mind-soul connection, which is all channeled via our physical body and aura. Before we can love our body, we have to establish a connection and if there is a connection already, be willing to explore it further. True intimacy begins within each of us and it is only through a sense of self-trust that a reliable and confident connection comes about. As well as through trial and error. So don't beat yourself up over it. When you learned to walk, you did it one step at a time. Also a healthy connection will flourish and become better integrated in a kind and loving environment. And it starts with you choosing these vibrations and then allowing whatever that is not or is to show up and be experienced so that it can be set free. Energy simply wants to move and it is our personalities that lock energy into our bodies through our choices of thoughts, feelings and emotions. I feel that we are now at a time in our evolution where shifting through and out of this is possible. The place to start, is at home. That means you and your body -- the connection to your reality. 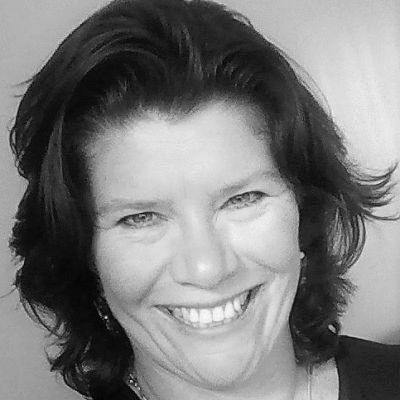 Trilby Johnson is a Transformational Author and Intuitive Energy Alchemist, who mentors individuals to love their body and explore it's hidden wisdom so that their life can change and they make informed new life choices. If you are looking for support on this journey, please contact Trilby at http://www.trilbyjohnsontheconnective.com - many of her clients have experienced miraculous healing and a deep feeling of connection and balance. So can you. Trilby's book 'A-Ha Moments - Inspirational Quotes to Shift Your Thinking' is an authentic treatise to live life on your own terms. ©Trilby Johnson 2016. If you do share any part of this article, please quote the author and reference the original blog here http://trilbyjohnsontheconnective.com/blogconnectiveharmony/ - Thank you. Author, Body Energy Alchemist, Speaker. Student of Life. Follower of Joy.